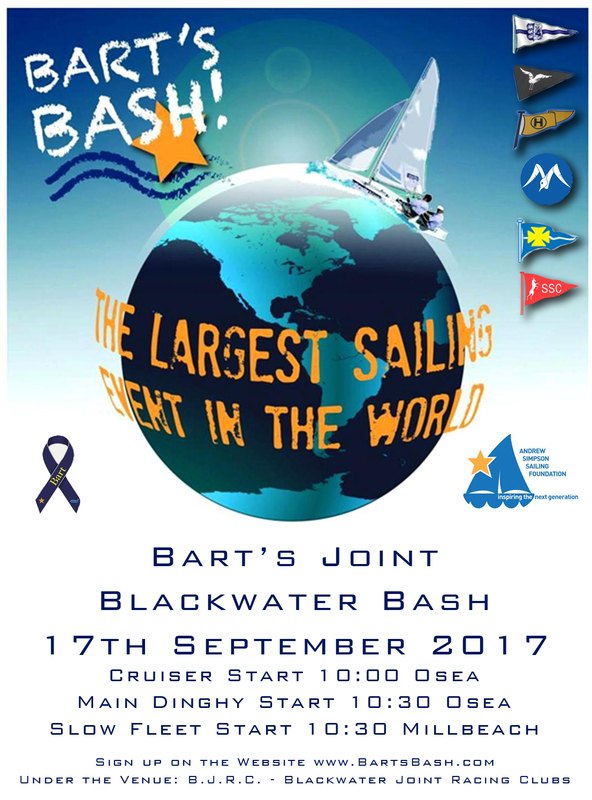 Once again Bart’s Bash is upon us, this is a great event in it’s 4th year now, aiming to once again be the World’s Largest Sailing Event! It’s an early start, 10 o’clock for the Cruisers, 1030 for the main fleet and on a separate start the Slow/Cadet Fleet. There will be a briefing at 9.30 and you will also need to sign on in the morning so that we know that you are out there! If you can make it but can’t sail there are plenty of opportunities to help out spotting on the Committee boats so please let us know! A line from the seaward end of Osea Pier to the mast of the committee boat Jack B stationed towards the South, 300m away in the main fairway. Cruisers with an intention to race, should call JackB with, Yacht name, Design, Club, Sail No, & No persons onboard. Cruisers should fly pennant 5 from their backstay. If you do not have this pennant, fly something other than an ensign so as to distinguish you from none participating boats. Two courses have been published. The RO will decide on the morning of the event which course to sail. Please download the course and SI’s by clicking on the image below. Jack B will reposition to a point midway, but outside of the Marconi moorings, forming a finish line between the mast of JackB and a buoy directly North of Jack B. 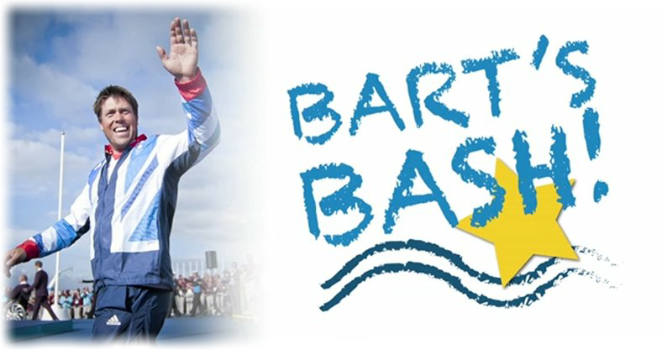 Sailing venues around the world engaged with the campaign by agreeing to organise a sailing event during the Bart’s Bash period (16th- 17th September 2017).